USB Flash Drives are now an important part of our daily life. This small portable storage device plays important role in our life. We use to share files, carry important files and data. But it can be a problem if you stored important data in USB flash drive and forget where it is. In a case of stolen or misplaced, you may worry that your important data can be accessed by other persons. So, you should make it habit to encrypt your USB flash drive if it has sensitive or important data. 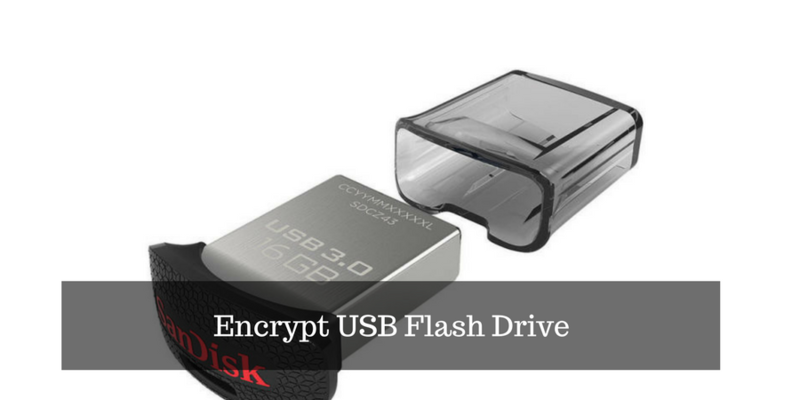 With TrueCrypt encryption on USB flash drive, you can your USB flash drive. TrueCrypt is a nice tool that can encrypt an entire partition or storage device (USB flash drive or USB hard drive). Other persons will not be able to read the data on the device without having correct password or encryption key. Download Trucrypt and install it in your system. While installation, it creates System Restore point and then installs the tool in your system. After installation, run itonn your computer. I recommend all users to read the official user guide before using this tool. At first, the tool seems to be a bit complicated. So, reading manual will help in preventing any kind of data loss. You will have to create a TrueCrypt volume on removable drive with desired encryption option. After that you can select the password for your TrueCrypt volume and then format it. Now mount your TrueCrypt Volume and use it. This tool is available for Windows, Linux and Mac Platforms.